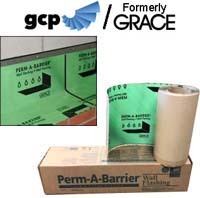 Perm-A-Barrier® is a 40 mil self-adhering, self-sealing, self-healing, rubberized asphalt and polyethylene composite membrane that provides multi-level thru-wall flashing protection by limiting water intrusion and diverting infiltrated moisture back to the exterior. 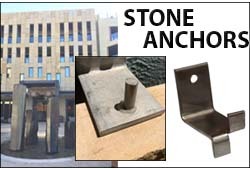 Its high-density polyethylene composition resists punctures, tears, abrasion and corrosion. 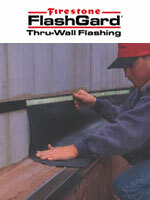 Perm-A-Barrier® flashing adheres to masonry, steel, concrete, block, gypsum and wood substrates. Composite sheet type waterproofing membrane consisting of 8 mils of high density cross laminated polyethylene bonded to 32 mils of rubberized asphalt for a total thickness of 40 mils. 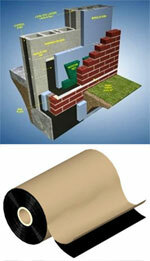 High performance, flexible membrane alternative for protecting masonry walls from water penetration. It is based on EPDM (ethylene propylene diene terpolymer) synthetic rubber. FlashGard Membrane forms a barrier to moisture ingress in cavity wall construction by directing water to a building’s exterior.